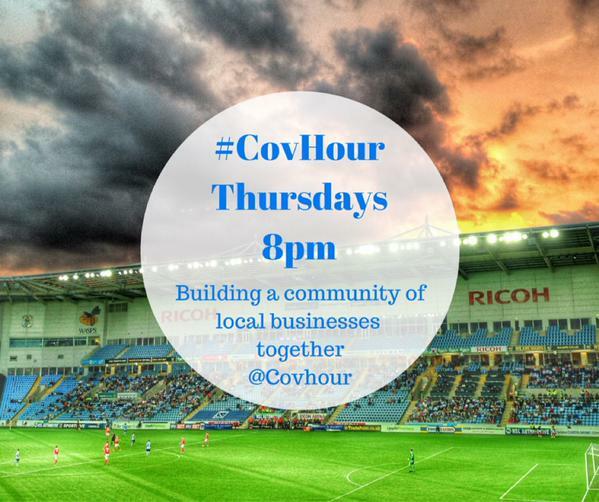 Most Thursday evenings from 8-9pm you’ll find me on Twitter, networking and promoting my cotton socks off under the #CovHour hashtag. #Covhour is one of many regional networking groups on Twitter, this one dedicated (pretty obviously) to my adopted home city, Coventry. It’s a time of week when local small businesses, artists and media get together for an hour to catch up, network and promote ourselves. Through this group, I’ve gained radio play, gotten in touch with local artists and venues, promoted my material, live shows and DJ work, found myself exhibited in the “Future Music” section of the Coventry Music Museum… all through investing an hour a week chatting via Twitter. The lesson here is that although today’s networked society can potentially give you a global reach, don’t forget your home town – there are opportunities right on your doorstep that you can get access to using the same tools. So, thanks to #CovHour, and especial thanks to Jo, who puts in the time and effort week in and out to run the hour and welcome new members. Here’s a mixtape for your second virtual birthday party – hopefully the second of many to come.